I previously posted about Why Google Should Acquire RIM but it seems Google had a different hardware manufacturer in mind: Motorola. This morning Google announced that it will be acquiring Motorola for $12.5 Billion. This is an unprecedented move by Google but one that was likely to happen at some point. Interestingly, as I pointed out, Google CEO Larry Page said the acquisition was largely to equip themselves for the ongoing patent wars they have been fighting. It was interesting that they decided to go after Motorola instead of RIM but it makes sense: Motorola devices already run their operating system. They’re just doing a little vertical integration and upping their patent protection in the process. It will be very interesting to see what happens now that Google is also a hardware manufacturer. 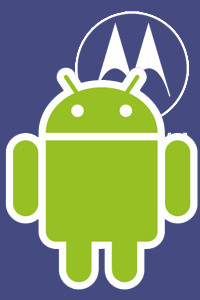 Hopefully they won’t make Android exclusive to Motorola hardware but at this point I cannot see that happening. Previous postHello Facebook Messenger, Goodbye BBM!